Man recovered drifting in a boat with a broken radio and no steering system near the Gaza Strip. On Friday morning the the Israeli navy spotted a vessel that was being swept toward the Gaza Strip. Platoon 916 was dispatched to the site and identified a vessel with a man on it. After a preliminary investigation, it was found that a French citizen was on the deck, that his ship had trapped in a storm and that he had been at sea for several weeks due to a malfunction on his ship. Platoon 916 rescued the citizen and evacuated him. According to Platoon 916 commander Lt. Col. 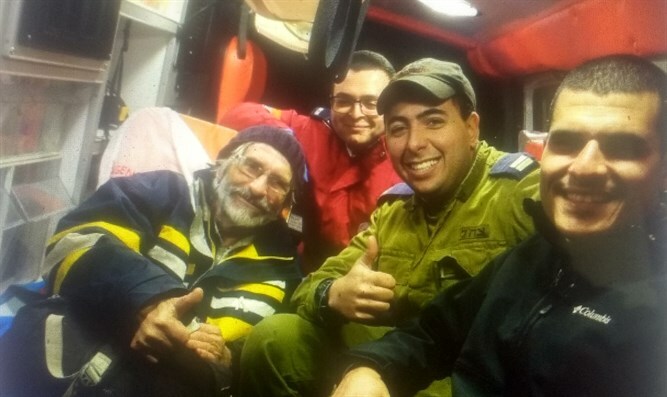 Guy Barak: "After the ship was identified, the fighters acted swiftly and with composure to rescue the citizen and bring him to safety while providing first aid on board our ship. We will continue to carry out our mission throughout the year and in all weather conditions."